Longhorn Energy seeks to leverage the world-class academic, co-curricular, and extra-curricular energy opportunities at UT for the betterment of all members of the UT community. In particular, the aim of this organization shall be to build community and collaboration between students at UT, support energy-related activities and events, and to aid members in pursuit of energy careers. John is currently a MBA-MS Energy & Earth Resources dual degree candidate at the McCombs School of Business and Jackson School of Geosciences. A passionate leader and energy professional with over 10 years of proven experience in the Energy, Defense, and Intelligence sectors, John has held leadership positions serving high-visibility DoD organizations and managing diverse project teams that solved complex problems related to diversifying power generation assets, improving energy efficiency, transforming vehicle fleets, and enhancing energy security in alignment with Federal and DoD mandates and goals. He has developed critical skills in Defense Energy Policy, Strategy, and Project Development; Cleantech and Renewable Energy Project Finance; and, oil & gas investment banking and private equity growth capital. He also has operational intelligence expertise as a Marine Intelligence Officer and continues to serve as a Reserve Officer in Intelligence, Infantry, and Civil Affairs billets. Matthew is a MA candidate in Public Affairs and a MSc candidate in Energy and Earth Resources at The University of Texas at Austin. Matthew is interested in policy changes incited by rapid technical innovation in the energy sector. Prior to graduate school, Matthew spent three years working in the petroleum industry. In 2016, at the Texas Energy Poverty Research Institute, he co-authored a paper analyzing the landscape of energy poverty in the United States. This year, he completed an internship at Austin Energy working on the Department of Energy funded SHINES project. 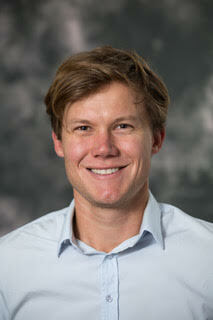 Peter Tutton is an MSc candidate in Energy and Earth Resources and the University of Texas at Austin. Previously, he spent four years working in the petroleum industry, initially as a logging engineer in the Gulf of Mexico, Arkansas and China. Subsequently, he went on to utilize his mechanical engineering background, working to improve the reliability of drilling tools. His interests extend to other aspects of the energy sector having studied the engineering behind wind turbine design as well as nuclear power. This summer he worked at the Bureau of Economic Geology, investigating point sources of carbon dioxide as part of the research conducted by the Gulf Coast Carbon Center. Jingwei is an M.S. student in Energy and Earth Resources Program at the University of Texas at Austin with a diversified background in earth science, environmental policy academics, and statistical data analytics skills from China, Korea, Israel, and now the U.S. Jingwei has experience organizing big events with over 10,000+ persons and has attended several international meetings in the areas of environmental sustainability. 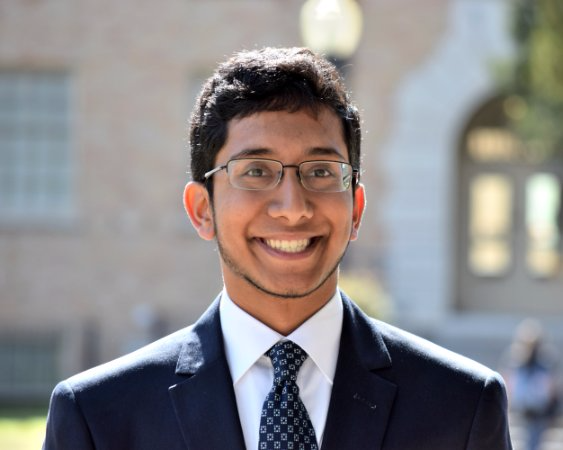 Aanandh is a junior undergraduate student in the Department of Chemical Engineering, with a focus on Engineering Economics and Materials Engineering. His extracurricular work focuses on supporting the Austin innovation ecosystem, especially with regards to renewable energy supply chains and markets. His interests include impact investment models, public-private partnerships, and organizational structure and management. Michael is a second-year undergraduate student in the Department of Petroleum Engineering. He was a first-year research assistant in Dr. Mukul Sharma’s Shale Group and is currently part of the Webber Energy Group. Michael established the Energy Case Competition and TEDxUTAustin and has a passion for sharing ideas. His primary interests involve analyzing future energy outlooks and the advancement of innovation in the energy space. Pamela is a dual degree graduate student working towards an MS in Energy and Earth Resources and an MBA through the McCombs School of Business. Prior to coming to the University of Texas at Austin she received a bachelor's degree in Geology from the University of Florida. She has working experience as a Geologist in an open-pit copper mine, and she is passionate about the future of geothermal energy production. Sam was born in Fort Worth, TX, but soon moved overseas with his family to live in Amman, Jordan. His experience growing up in Jordan and later in Egypt has significantly impacted his world-view and helped form his interest in clean energy solutions and the energy-water nexus. Sam began attending Auburn University in 2011, where he studied Mechanical Engineering. For his senior project, Sam helped design a portable device for converting energy from the wind into electricity for applications in developing countries. Sam graduated in 2015 and is now pursuing a graduate degree at The University of Texas, where he seeks to conduct impactful, energy-related research. Sam has been involved in K-12 outreach since college, but recently became more involved in energy outreach to K-12 students through UT and his involvement in the Webber Energy Group. As the K-12 Outreach Chair, he is looking forward to the opportunity to help others get more involved as well. 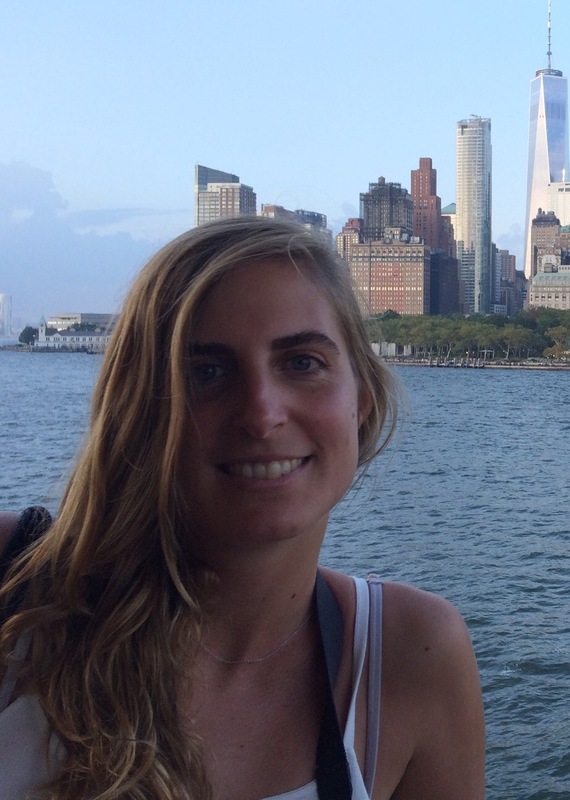 Henar is from Madrid, Spain and is a second-year masters student in the Energy and Earth Resources program. She is a Fulbright grantee and her research consists in the analysis of the potential energy resources in Spain in order to create a model to give a first approach to the optimum energy mix in the country by taking into account technical, economic, social, and environmental issues. Her background is Environmental Engineering from Universidad Politécnica de Madrid and before moving to the US she interned in a satellite telecommunications operator in Spain for more than one year. She is currently involved in the SciRes program at the Environmental Science Institute (youth mentoring) and in the Energy Resources Group as Corporate Relations Chair. I love playing tennis, dogs, and traveling around and getting to know other cultures. Mitch is a student in petroleum engineering at UT Austin concentrated on the intersection of energy infrastructure, technology, and data analytics. He enjoys reading literature on energy events, markets, and innovations. Olivia Loa is a MS candidate in the Energy and Earth Resources program at The University of Texas at Austin with concentration in energy management for renewable energy and energy technology sectors. Prior to graduate school, Olivia graduated from University of Wisconsin - Madison with a bachelors degree in Chemical Engineering. Her previous work experience included a summer internship at IC2 Institute (2017) and a co-op at a biofuel startup (2015). Besides LEC, Olivia also serves as a teaching assistant for UGS 303 - Sustaining a Planetand Head of Finance at Indonesian Student Association (PERMIAS Austin). David is the Vice President for Marketing and is pursuing a Master of Public Affairs. His research focuses on public policy operations research and new technology implementation. Pranab is an undergraduate in the chemical engineering program at UT Austin. Outside of LEC, Pranab is involved in UT's undergraduate chapter of the American Institute of Chemical Engineers (AIChE) as VP of Corporate Strategy and Kappa Theta Epsilon (KTE) Co-op Honor Society as Co-VP of Mentorship. Pranab also has completed two co-op work terms at a large petrochemical company in process engineering. Pranab enjoys learning about the future of energy and sharpening his mind by listening to NPR podcasts and reading books. Saad is a second year graduate student pursuing his MS in Energy and Earth Resources at Jackson School of Geosciences where he is researching on the economic and strategic implications on energy infrastructure projects. In addition to his participation in LEC, he is the president for the Society of Petroleum Resources Economists at UT. Prior to joining UT, he worked as a manufacturing engineer at Robert Bosch Diesel Systems. He also has internship experience with Texas Commission on Environmental Quality, Volvo and TVS Motor Company. He holds a bachelor's degree in Mechanical Engineering from India. Regina Canals, originally from Mexico City, is an MSc candidate in Energy and Earth Resources at The University of Texas at Austin. Her research focuses on the water supply problem in Mexico City. Regina's background includes a bachelor degree in Chemical Engineering and three years of professional experience, both in Mexico. In addition to working with the LEC, Regina also holds the position as vice-president of the Energy Resources Group. Katherine Drews is a Master of Public Affairs candidate at the University of Texas at Austin LBJ School. Prior to attending UT, Katie received a Bachelor of Science in Political Science from the University of Houston. She is interested in energy policy, with a focus on renewable sources, climate change mitigation, and emerging technologies.